Living... in prison for unknown reasons. She struggles to adapt to the tumultuous prison society and is seen as an outcast (Exhibit A: her nickname “Crazy Eyes”). But she gets frequent, loving visits from her adoptive parents, making her time behind bars more bearable. Profession... prisoner. The warden would say her job is to clean the bathrooms, but it’s not like that takes up a lot of time. Interests… reading, acting, and Shakespeare. She writes poetry and recites Shakespeare, always looking for an outlet to express herself and articulate what she’s feeling inside. She’s given a big role in the Christmas pageant, but she’s going to have to overcome her stage fright if she wants to perform for the rest of the prisoners. 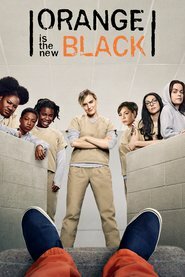 Relationship Status... in love with Piper Chapman, the new blonde inmate she calls “Dandelion.” It’s difficult to tell whether Suzanne is aware that Piper doesn’t return her feelings. She pursues Piper wholeheartedly, at least partially because Piper is one of the few people in Litchfield Prison who ever had a kind word to say to her. Challenge... fitting in and feeling loved. Suzanne’s always had difficulty with other people, because of her special needs and inability to understand what’s going on with others. That’s left her very lonely, and it doesn’t help that she’s in prison, a place not widely known for gentle kindness. She knows that the other inmates think she’s crazy, but she doesn’t know how to prove them wrong. "Crazy Eyes" Warren's popularity ranking on CharacTour is #227 out of 5,000+ characters. See our top-ranked characters and read their profiles.